I have never been more impressed with a rental property! This place was simply amazing. The view was incredible both in the general living space and master bedroom. The jetted bathtub was great after a day of skiing nearby. And every part of this house had the feeling of home and family. All items you would need were included, minus food (dishes, washer & dryer). I can't wait to come back. Location great but most uncomfortable bed Ive slept in. 50$ mattress from Walmart? Nice condo. Had 5 adults in the unit and still had lots of space. The property and view were worth every penny! The condo itself was spotless, spacious and comfortable. Identical to the pictures online which rarely happens! Having lots to do in the area and wonderful places to eat will bring us back for sure. We came for a family ski holiday but will want to come back in the summer for sure. We stayed in condo 615. We loved our experience at this lovely home! We came up to snowmobile and the accommodations were perfect for us. 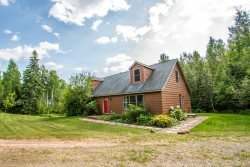 Easy access to either the State Trail or the Gunflint Trail. Loved the fireplace and radiant heated floors.I would definitely rent this house again. I did not work with anyone on your team. Everything was done on line without a single hick up!! Great service!! The location and house was absolutely GREAT! Really nice place to stay on the North Shore! Affordable condo with a great view of Lake Superior. Very close to Lutsen mountains. Great Home Base to explore the North Shore and surrounding communities. I had two interactions with different reps before checking in and they were quite pleasant. Thanks for the service! Although a bit smaller than other cabins rented with CVR, it was very cozy and being right next to the lake, the sounds of the waves crashing on the shore were very relaxing. The pure water dispenser was a plus, and the beds were comfy. The wood-fireplace made for a more relaxing ambiance. My mother wanted me to mention the lack of a toaster was a bit disappointing but I simply improvised with the oven. Not really a big deal. My only complaint would be the ice situation. The snow would melt to water and would drip off the roof during the day but would freeze into a slick ice on the deck to the entry way by night. I did not mind this much but my mother is in her 70s and it made for a dangerous situation for her. Also, the driveway was steep, which we were cautioned about, but the ice on it should have been better maintained. Instead of walking up and down the hill I would chauffeur my family in my car as needed so we could avoid walking up or downhill on the ice. Other than that, it was a very convenient location with Grand Marais only minutes from the cabin. The cabin had every other type of dish or kitchen utensil needed to prepare meals (other than the toaster :P). The furniture was very comfortable, which made for cozy movie nights. The table was a perfect size for eating as well as gaming and playing cards. The best part was the constant view of Lake Superior through the massive windows and the sounds of the waves. No problem staying warm that is for sure! The floors were heated (or at least seemed that way) which kept our toes warm. Highly recommend Amazing Grace! The house/Townhome was perfect for 4 people. Beautiful dome home. Right on the lake. Plenty of bedrooms. Large kitchen. Overall cool atmosphere.